Lucy and Greg have co-authored two books on California native gardening: "The California Native Landscape: The Homeowner’s Guide to Restoring its Balance and Beauty" and "The California Drought-Defying Garden". They graciously accepted our invite to speak on the care and maintenance of a California native garden at our Native Gardening Workshop this past September 8. We asked them a few questions at the time in advance of their presentation. In your own California native garden what has been the most fascinating or surprising thing that has happened over the years? LUCY: I have loved watching the plants grow and develop to their maturity. One of the most surprising things was watching the supposedly tame Leymus condensatus 'Canyon Prince' run rampant and become aggressive. The original 'Canyon Prince' has been compromised and while it is still a beautiful plant, it limits where I will plant it. GREG: I have been doing much of my Argentine ant treatment research and development in my own ½-acre yard, always striving for more directed and organic approaches. It has proven quite epiphanous and incredibly satisfying to bring plants like Ceanothus, Fremontodendron, Dendromecon, Arctostaphylos, and Lavatera back from the brink of death, and to realize how adaptable and resilient these plants can be in the absence of ant infestation. Many of the plants slapped with the moniker of being "short-lived" and difficult are precisely the plants ants seem to target most! On average, how often would one need to prune their native garden for optimal growth? LUCY: It depends on what plants you have in your garden. Colorful perennials along the edges of the garden will need to be dead-headed regularly for appearance and to extend their bloom cycle or will need to be trimmed back at the end of their bloom cycle. Grasses need a haircut every year or two. Most of your landscape should be evergreen perennial plants which will need little pruning if they are planted to their mature size. GREG: Hopefully you've chosen plants optimally sized for your spaces, otherwise there may be frequent pruning in order to keep them in-bounds. Short of that, the main reasons for pruning are for shape, to remove dead growth, and dead heading. On a plant by plant basis, this is rarely over once or twice a year. Perennials that bloom continuously (like seaside daisies) may require dead heading every month or two, which in turn stimulates more flowering. When you go out to look at your gardens, what is the thing you check most frequently? GREG: I look for struggling plants. If they have certain weeds growing right around the base (and nowhere else) that is a strong indicator of possible ant infestation. Then I check around and look for ants, as well as soil looseness, which is often associated with ant nests. Finally, if I've ruled out ants, I use my soil moisture indicator to see if the plant is too wet or dry. It is about 12" long so I can check moisture at the roots. LUCY: I check for weeds always. What sorts of pests prevail in California native gardens? GREG: Ants and the sucking insects they support may be the single greatest cause of native plant mortality in landscapes. Unfortunately, by the time you see aphids and scale in the branches, they have long infested the roots, far from the reaches of horticultural soap or alcohol. The big question is whether it is this simple desiccation/sugar appropriation that is the cause of collapse, or whether it is the pathogens that researchers have found to be spread by this activity. Either way, there is absolutely nothing good about Argentine ants! LUCY: I agree with Greg, definitely the Argentine ant is the most destructive, aggressive and prevalent pest in California native gardens because it farms the sucking insects on the roots of the plants. If you could have done or corrected one thing early on in your native garden, what would that be? LUCY: Learn about natives earlier in my life and plant them then. GREG: Use less plants! Many of my older gardens are a little over-planted, partly because I'm such a plant nut, and partly because much of the size data 15-20 years ago was on the small side. What is a memorable response you have had from a reader of your books? LUCY: One of my fellow Master Gardeners came up to me and apologized for the fact that their book was so full of notes and highlights--I loved it! GREG: "Tashkent is NOT in the Ukraine, it is in Uzbekistan!" as I incorrectly described the derivation of Chitalpa tashkentensis as being developed in the Ukraine (especially embarrassing since much of my family on my father's side emigrated from the Ukraine!). Aside from a geography lesson Frank Landis corrected my description of mustard being facultatively mycorrhizal. It is actually non-mycorrhizal, instead secreting cyanide compounds into the soil that destroy the symbiotic fungi that help support the native plant community. We were able to get that correction into the second printing. Lucy A. Warren, a Virginia native, transplanted to California in early adulthood. With a Masters in Marketing, her first career in marketing research aided decision making with and for major corporations. Long fascinated with plants and horticulture, she is a former editor of California Garden magazine, wrote feature articles and a gardening column on edible plants for the San Diego Union Tribune, and many articles for other gardening publications. She collaborated on the University of California public information pamphlet on killer bees. Ms. Warren has been assistant coordinator for the flower and garden show at the San Diego County Fair and the Spring Home/Garden Show. A 20+-year UCCE Master Gardener, she has served on many boards, including San Diego Horticultural Society and Pacific Horticulture Society. She joined the board of Friends of Balboa Park as Horticulture Chair and was integral in the preparation of the 2015 Panama-California Exposition Centennial with the Adopt A Plot program. She has appeared on numerous local television news segments and frequently makes presentations to garden clubs and other organizations. She is co-author of two books on California native plants with Greg Rubin: "The California Native Landscape: The Homeowner’s Guide to Restoring its Balance and Beauty" and "The California Drought-Defying Garden". Greg Rubin was recently named the 2018 Horticulturist of the Year by the San Diego Horticultural Society. He is the president and founder of California’s Own Native Landscape Design, Inc., and is a licensed landscape contractor (C-27 No. 717147) who has been working with California native plants since 1985. By 1993, Greg fully transitioned out of his career as an aerospace engineer to devote himself to his successful and unusual landscaping business. His company has designed over 700 residential, commercial, and institutional native landscapes in Southern California. Specialties include year-round appeal, low maintenance, water efficiency, rich habitat, and fire-resistance. Greg has been featured in the Wall Street Journal, San Diego Union Tribune and Los Angeles Times, and magazines such as Sunset, San Diego Home and Garden, California Gardener and Kiplinger's. Media coverage includes appearances on all of San Diego's local news outlets, CNN & MSNBC. 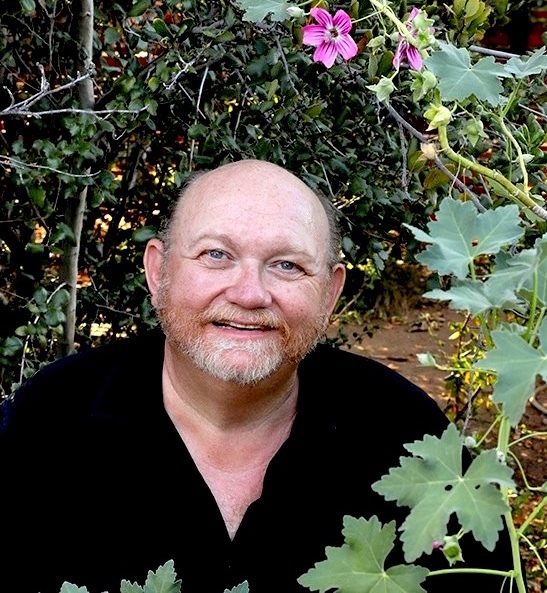 Greg regularly gives presentations and workshops on native plants to conferences, garden clubs and other organizations throughout Southern California. Greg is co-author, with Lucy Warren, of "The California Native Landscape: The Homeowners’ Design Guide to Restoring its Beauty and Balance," published by Timber Press, 2013. This popular native horticultural literary work covers all aspects of native landscape design. He and Lucy now have a second book, "The Drought Defying California Garden", also published by Timber Press in 2016. His website is: www.calown.com.